Looking for a way to relax and unwind after the pressures of wedding planning? A honeymoon in Sri Lanka offers couples an opportunity to loosen up by lounging beside many of the exotic coastal beaches, cuddling with a cup of tea amidst breathtaking views of the highlands, add spice to your holiday by exploring World Heritage Sites, hiking through tea plantations, and enjoying adventurous wildlife experiences all together to make up a memorable honeymoon tour. In addition to that, this little island filled with magic also offers an amazing selection of boutique hotels and luxury accommodation to pamper the happy couple! There you have all the reasons to choose Sri Lanka for your romantic getaway and fall in love all over again while enjoying the endless privileges that Sri Lanka offers for a perfect honeymoon vacation! Our representatives will meet you at the Bandaranaike International Airport and drive you to the capital city of Colombo. There you will check in to Paradise Road Tintagel for your first night of the honeymoon tour in Sri Lanka. The next day you can shop, relax and take a city tour of Colombo to catch glimpses of the city. Your next night will be at the same hotel in Colombo. 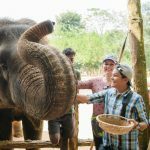 On day three, you will be driven to the town of Tirapanne and on the way, you will visit the Pinnawala Elephant Orphanage. Your night stay will be at Ulagalla Resort in Tirapanne. The following morning you will be exploring the Ancient City of Anuradhapura. 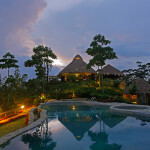 After the exploration, you will be driven back to Ulagalla Resort for your night stay. Upon checking out from the hotel on day five, you will be taken to visit the “Lion’s Rock” in Sigiriya and the Cave Temple in Dambulla. 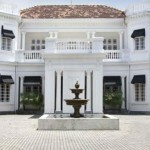 Your next stop will be in Kandy where you will check in to Kandy House for the night. We have left day six free for you to relax at the hotel with your loved one. Your night stay will be at Kandy House. The next morning you will be taken to the Temple of the Sacred Tooth Relic in Kandy where you will obtain blessings from the Monks. A city tour of Kandy is lined up next, after which you will head towards the breathtaking town of Nuwara Eliya. After a stop at the Ramboda Water Falls, you will check in to Heritance Tea Factory for the night. Day eight is another day of relaxation on your Sri Lanka honeymoon at the luxury cosy hotel we have selected for your accommodation. Nuwara Eliya is also known as “Little England”. On day nine we will show you around Little England and then board you onto a train to the town of Ella. You get to enjoy this scenic train ride and then we will drive you to 98 Acres Resort and Spa for your overnight stay. 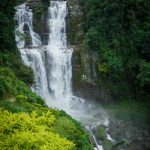 On day ten, you will explore the “Little Adams Peak” as well as the Rawana Water Falls before departing to the city of Yala. 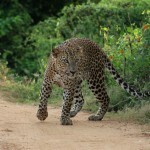 You will be taken on a Jeep Safari in Yala and will sleep over at the Leopard Trails luxurious camping site. The last two days of your honeymoon tour will be at The Fortress Resort and Spa in the coastal town of Koggala, where you can indulge in the beautiful beach and go into total relaxation mode at the hotel with your beloved partner. 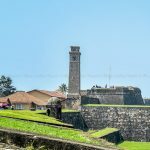 After exploring the Galle Dutch Fort on day thirteen, you will head back to Colombo. Your night stay will be at Paradise Road Tintagel in Colombo. Day fourteen will bring you to the end of this luxurious tour in Colombo with Blue Lanka Tours. You are free to further explore the city of Colombo if you have enough time to spare before your flight departure time. We hope this romantic itinerary was appealing to you. What entails a Honeymoon in Sri Lanka? 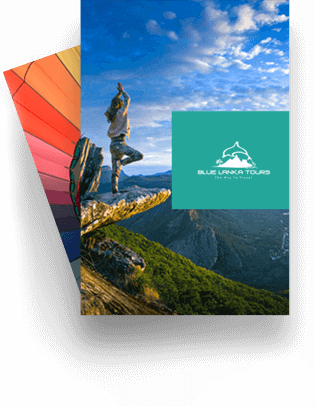 A honeymoon with Blue Lanka Tours means that our team of friendly travel consultants will do everything for you from planning the trip to picking you up at the airport, driving you around in a private, comfortable and luxury vehicle to all the honeymoon destinations across the country and then dropping you back at the airport to head towards home. Accommodation options for the Sri Lanka honeymoon tour are offered to keep in mind the privacy and luxury surroundings available for guests to pamper themselves. Is Sri Lanka a suitable honeymoon destination? Sri Lanka is known as a popular honeymoon destination because of the many romantic natural landscapes, breathtaking views and luxury resorts that the tourism industry has to offer. There is something in store for every couple’s honeymoon, regardless of what they like; be it the beaches, hills, luxury, serenity, adventure or cultural extravaganza. Is Sri Lanka an economical honeymoon destination? Sri Lanka, overall is a very inexpensive holiday destination compared to most other countries in Asia. So whether you are on a budget honeymoon or looking for an ultra-luxurious Sri Lanka honeymoon, the country serves with open arms. What are the most popular honeymoon locations in Sri Lanka? What is the best time of the year to plan a honeymoon in Sri Lanka? Sri Lanka is a year round holiday destination, hence any time is holiday time in Sri Lanka. Although there are two monsoons that affect the country every year, the rains are regional. So if one coastal area is experiencing monsoons, the other coasts have ideal weather conditions for a holiday. Does the rainy season affect planning a Sri Lanka honeymoon? The Northeast monsoon in Sri Lanka affects the north and east coastlines during the months of October to February. At this time, it is best to visit the south west coast. From May to September is when the south west coast is hit with rains and the north and east regions are better for holiday-ing. With that being said, rains in Sri Lanka are only for a short period of time. So even if one morning you wake up to a rainy day, high chances are that the sun will come out later that day or at least the next day. Hence your holiday, at any time of the year, in any part of the country, will not be sabotaged with rain. What are some romantic activities a couple can enjoy on their honeymoon in Sri Lanka? What are some fun/adventurous things to do on a honeymoon in Sri Lanka? 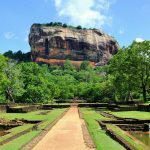 What you should not miss during your Sri Lanka honeymoon? Stopover in Colombo for a city tour to explore ancient architecture, temples, markets and more. While in Colombo, don’t forget to shop at retail stores (for clothing and souvenirs) such as Odel, No Limit, Beverly Street, House of Fashion, Barefoot Gallery, Hermitage and more. Visit a certified gem stone outlet and introduce yourself to the gems industry in Sri Lanka. Schedule a cultural dance show on one of the evenings in Kandy. What are some useful tips for honeymooners in Sri Lanka? The best way to reach Sri Lanka is by air – the Bandaranaike International Airport has connecting flights to most parts of the globe. Sri Lankan visas can be obtained through the online government website. To cover all the honeymoon destinations in Sri Lanka at a peaceful pace, a two week holiday is advisable. If you like to explore cultures, try to schedule your holiday during the months of July/August – when the Esala Perahera takes place in Kandy. This is a grand 10 day procession exhibiting a mix of culture, elegant costumes, tradition and talents such as stilt walking, drummers, whippers and dancers. For honeymooners with limited time in hands, opt for a heli tour of Sri Lanka to cut down travel time and cover more places in Sri Lanka.